Rangers, researchers, vets, conservationists and upstanding citizens. 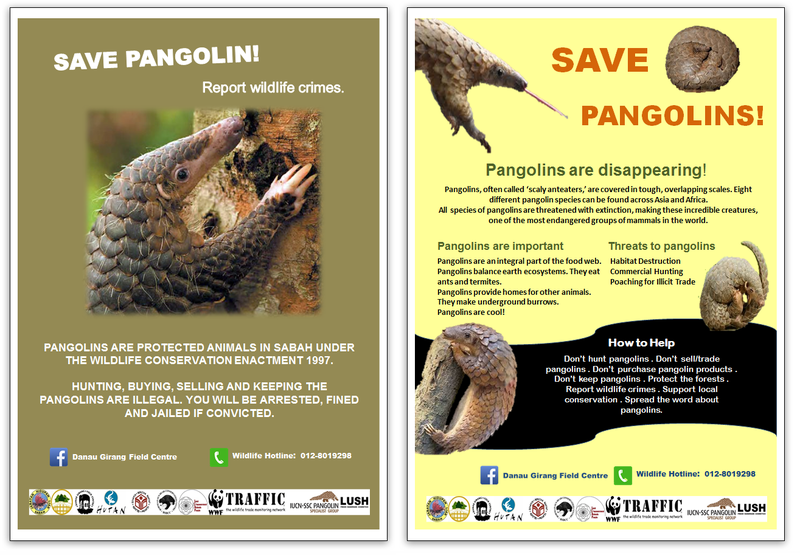 There have been a fair few stories in the media recently about the poachers and traffickers who are driving the eight species of pangolin to extinction, but for World Pangolin Day, World Land Trust (WLT) is celebrating the conservation heroes who are protecting the wild populations of this endangered mammal. The Sunda Pangolin has been classified as Critically Endangered by the IUCN Red List as it is heavily hunted for its meat and scales for trade in Vietnam, Lao PDR and China. 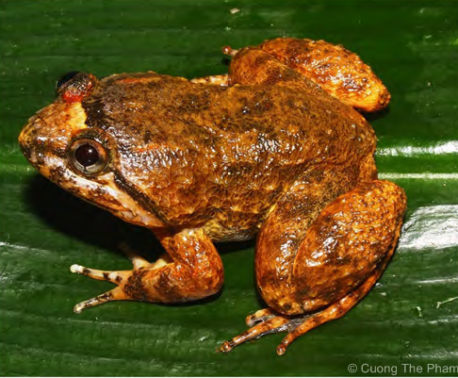 This species is protected in the wild by two WLT projects, Khe Nuoc Trong in Vietnam and the Keruak Corridor in Malaysian Borneo. 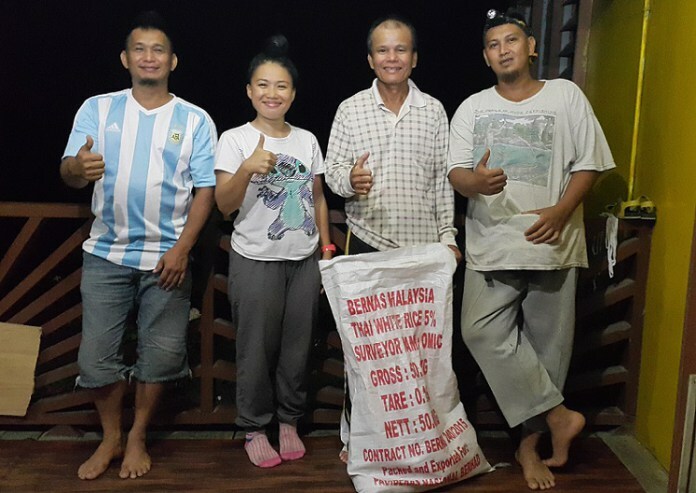 Nasri (pictured, second right) found an adult pangolin crossing the road near an oil palm plantation, where many pangolins are collected by poachers for the wildlife trade, and decided to bring it home. His son shared photos of the animal on Facebook and received several offers from people wanting to buy the endangered animal. 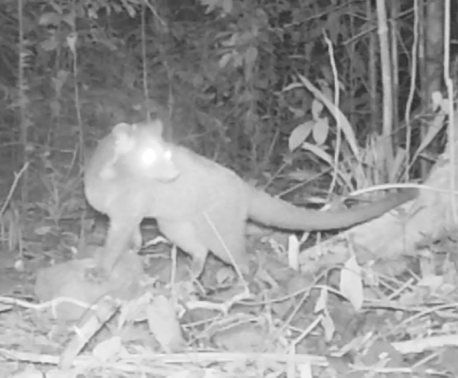 However, the post gained the attention of the Danau Girang Field Centre (DGFC) and, as Nasri had lived in the district since 1976 and was concerned about their decreasing numbers, he refused to sell the female pangolin and brought her to the DGFC. Elisa Panjang (pictured above, second left), a PhD student registered at Cardiff University, and Dr Laura Benedict, a veterinarian from the Sabah Wildlife Department (SWD) Rescue Unit, took care of the pangolin at DGFC and made sure she was healthy enough for re-release. 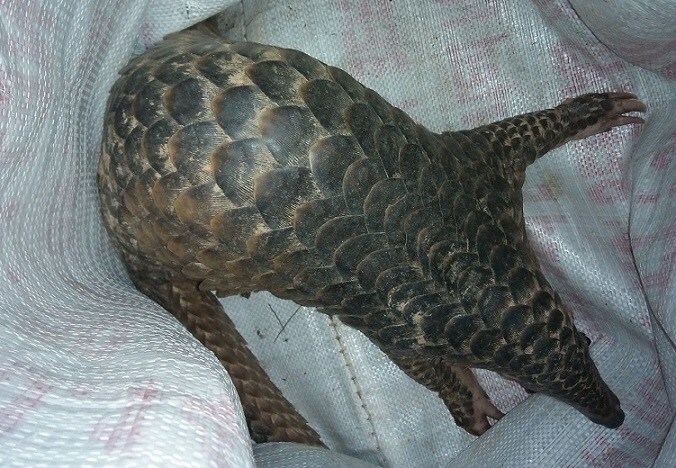 The pangolin was named Asa, meaning ‘don’t give up’ in Malay, and weighed 7.72kg. She was fitted with a global positioning system (GPS) unit and released, being tracked for a week afterwards to help the DGFC team carry out research on pangolins and their habitat. Elise has also produced posters (pictured below) for display in airports, nature reserves and zoos to increase awareness of the threats to this endangered species, discouraging people from becoming involved in the trade and encouraging them to report any illegal activity. Although the pangolin is protected in the Bornean state of Sabah, where Asa was found, they are classified under the Sabah Wildlife Conservation Enactment 1997, which means one must have a license to hunt them. Datuk Masidi Manjun has been pushing for the Sunda Pangolin to become completely protected, meaning all hunting activity would be a punishable offence, and upgrade the status of the pangolin so the possession, consumption and sale of pangolins is also illegal. The Sabah Wildlife Department elects members of local communities to be directly involved in the conservation and management of the Lower Kinabatangan floodplain by becoming Honorary Wildlife Wardens, who have the power to enforce laws and apprehend offenders when necessary. As well as engaging in community outreach programmes, they have a vital role to play preventing illegal logging and poaching activities on the ground. 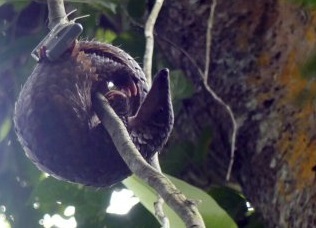 A few years ago the Kinabatangan Orangutan Conservation Project (KOCP) group of Honorary Wildlife Wardens actually succeeded in rescuing five pangolins (including a female and her young, first photo) which had been poached and about to be sold to a middle man while they were still alive, so they were successfully reintroduced into the protected area. 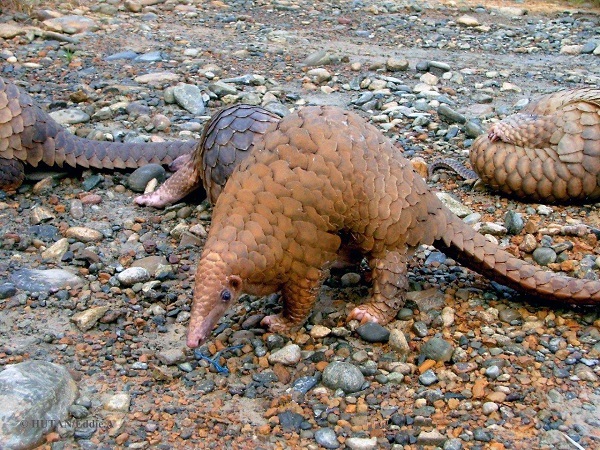 World Land Trust supports on the ground protection for pangolins by funding the salaries of rangers who patrol the reserves in the Lower Kinabatangan floodplain of Malaysian Borneo and the Annamite Lowland forests of Vietnam through Keepers of the Wild. 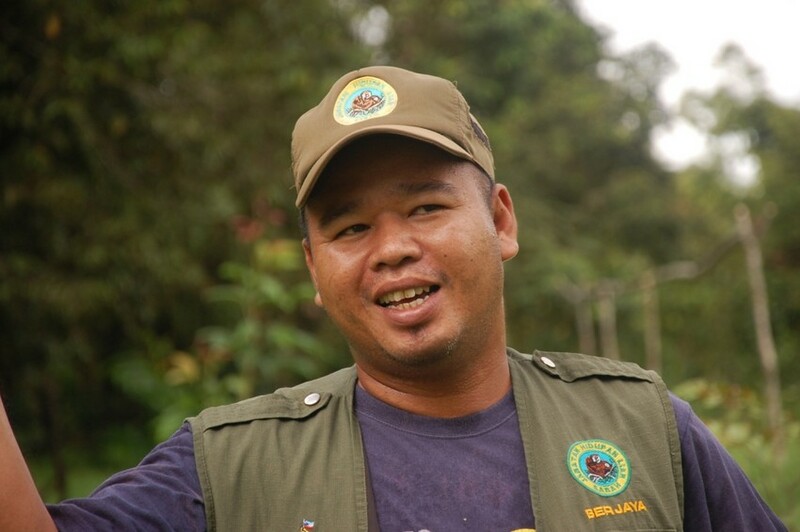 Berjaya Elahan is part of the Honorary Wildlife Warden unit which patrols the Kinabatangan River by boat and sometimes by helicopter, when funding permits, which allows the rangers to cover a much larger area. The work of rangers such as Berjaya and his fellow Keepers of the Wild in Khe Nuoc Trong, Dang Hieu and Quoc Hieu, is vital to protect wild pangolin populations of Borneo and Vietnam. By patrolling to discourage poachers, removing snares set on paths, protecting their habitat and releasing rescued individuals, rangers hold the responsibility of protecting this Critically Endangered species and we are doing everything we can to support them.